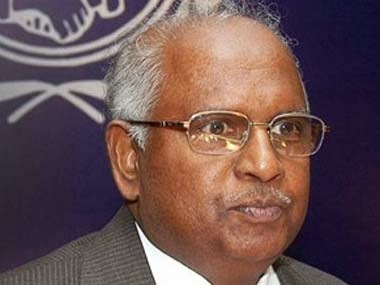 The NHRC has based its inquiry on a complaint filed by Dalit rights NGO Navsarjan Trust’s Kantibhai Parmar to its chairman, KG Balakrishanan, which said “immediate action” was needed in the case of “human rights violation of the scheduled caste people of Dagavadia village.” It added, the social boycott has been forced upon the Dalits of the village following a minor dispute between two youths of the village, which led to clash between Dalits and locally dominant and influential Chaudhary community in late October. This led to “tension” in the village, the complaint said, adding, “The Dalits, who are in minority, began being ostracised by the dominant Chaudhary community. The ostracisation reached such a level that the Dalits are refused work on the nearby farms, nor can they buy foodgrains and other essential items from the local ration shop.” Tension was allowed to raise its head despite the fact that the fathers of the two youths, who were involved in a dispute on a “minor issue”, had sorted out and settled things. Setting aside the compromise, Kantibhai Makwana, the Dalit boy's father, who is also a former sarpanch, was attacked. “A mob of around 100-150 people of the Chaudhary community gathered in front of his house and started pelting stones. He was badly injured and had to be rushed to hospital in an ambulance. An FIR was registered with the Vasai police station against five Chaudharys and several others, including deputy sarpanch Ketan Chaudhary. The five were arrested and are currently in jail”, the complaint to Balakrishnan said. Meanwhile, the complaint said, one Ashwin, a Chaudhary, also lodged a complaint with the police against the Dalits for attacking his community on October 24. “Ashwin's FIR names five Dalits, including Kantibhai, his two sons and two others. While Kantibhai got anticipatory bail, the four Dalit youths have gone underground. Dagavadia is a village with a population of around 3,000, dominated by Chaudharys. Dalits are in thin minority, comprising only around 30-35 homes”, it added. Things began further worsened when, on November 8, the Chaudharys held a community meeting in the village, in which they decided to ostracize the Dalits in their village and impose a fine of Rs 5,001 on any Chaudhary who violated this decision. The Dalits are not getting work in farms, owned by them (Chaudharys). When some of us went to farms in nearby villages in search of work, the Chaudharys here wielded their influence to stonewall our chances of getting work. The complaint quotes several Dalits complaining about social boycott. Hansaben Makwana, a former sarpanch of the village, said, "We (Dalits) are not even allowed to enter the village temple. Following the decision, taken orally by the Chaudharys, none of the owners of the provision stores, barring a few, give us daily ration. Those who do, do so secretly. Even the local barbers here refuse to cut the hair of a dalit man." Jagdishkumar Parmar, another Dalit, said, "I was a witness in the complaint lodged by Kantibhai's son. When they found out, they threatened me. I am a school teacher, but my family members are no longer getting farm labour-work."